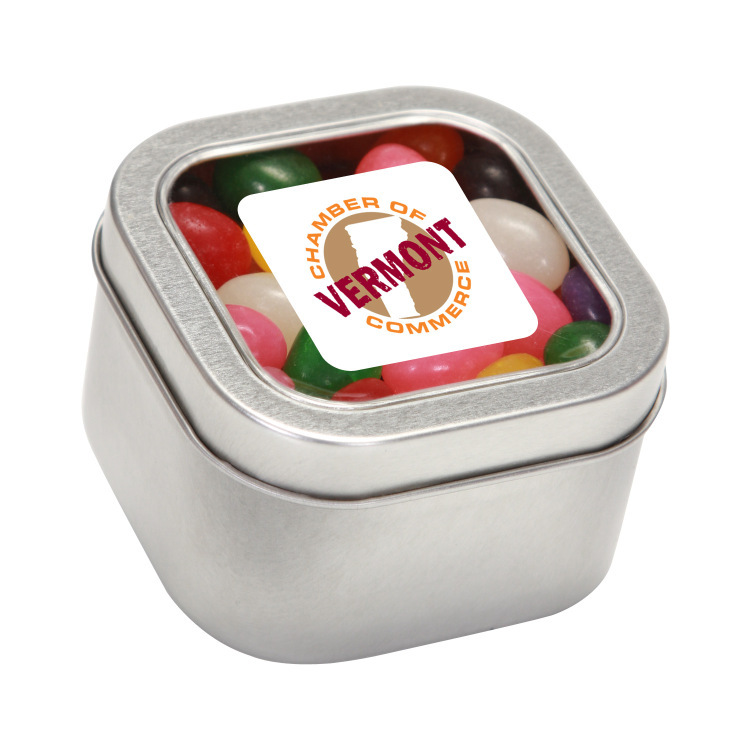 The Square Window Tins are a great way to reward your employees or customers with a stylish container full of 9 ounces of jelly beans! When the candy's gone, the tin lives on when filled with other items.When warm weather conditions apply, some perishable items require special packaging. Transit time for these conditions must be 2 days or less. Please contact Customer Service for details and an applicable freight quote.Our warm weather packaging consists of: Foil insulated sheets in corrugated box with cold packs for $14.99 (transit time must be 2 days or less).